Application: Pneumatic rubber fender is a kind of ship accessory that buffers and protects the ship upon berthing and now is widely used in ships, ocean platform, offshore facilities, wharf and yacht etc. 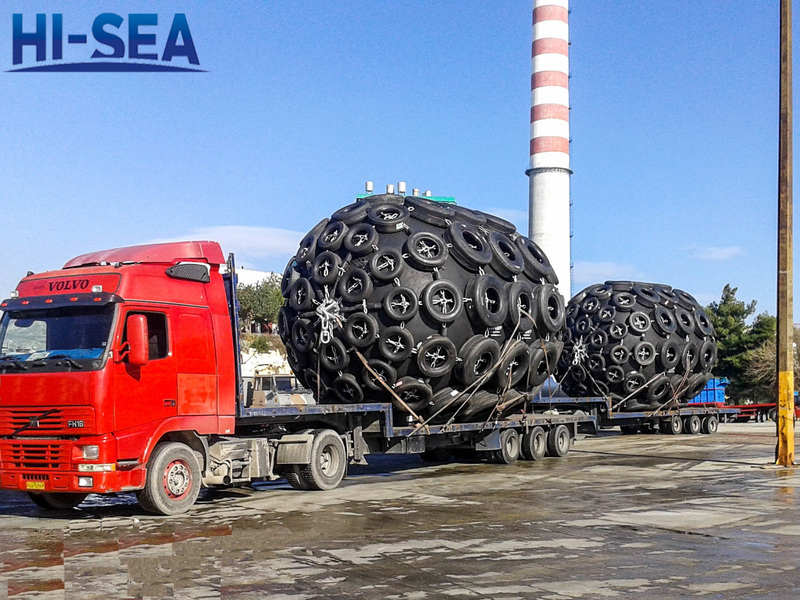 Fender which is made of synthetic-cord-reinforced rubber sheet with compressed air inside to enable it to float on the water and work as a shock absorb-er between two ships, or between ships and berthing structures when they come alongside each other on the water. 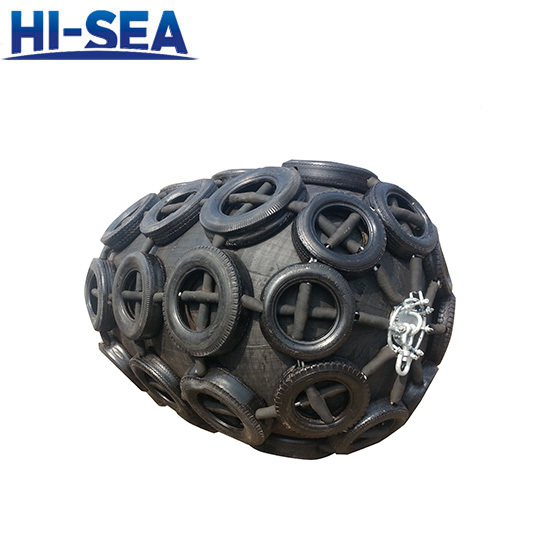 At the same time pneumatic rubber fender could absorb the impact energy of ship motion, reduce the recoil force of the ship, greatly improved the security of the ship docked. The fenders have sometimes been colloquially referred to as “Yokohama fenders” or “Yokohama type fenders”. b) Type II — sling type. Net-type fender definition: Fender which is covered by a protection net consisting of either chain, wire or fibre and usually with tier or rubber sleeves.